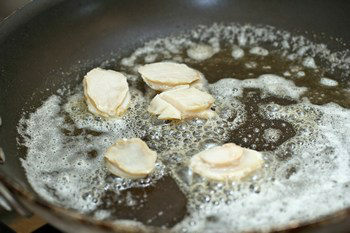 Baby abalone sautéed with garlic, butter, dashi, and lemon juice. 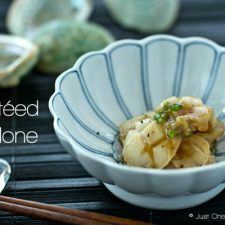 Enjoy this simple dish with cold sake, or even without drinks! 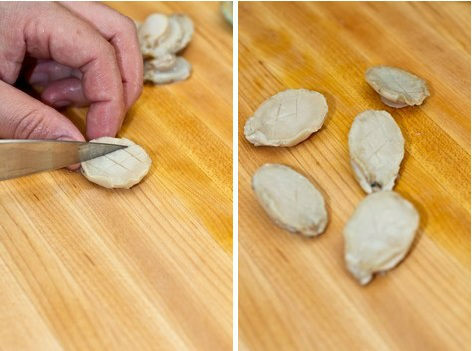 Use a knife to remove from the shell. 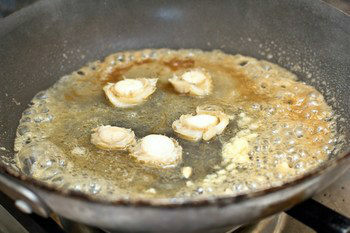 Remove the abalone guts and heart. 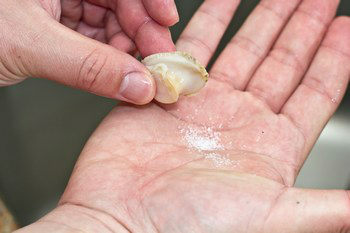 Clean the abalone with tiny bit of salt under running water. 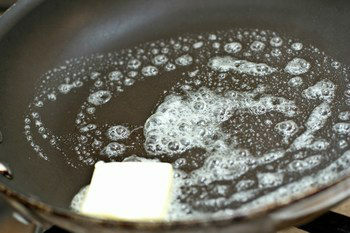 Melt butter on the frying pan over medium heat. 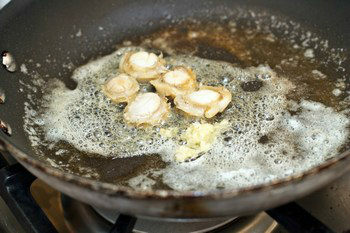 Then quickly add minced garlic. 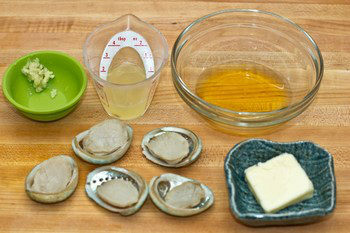 Lastly pour dashi stock and lemon juice and turn abalone and saute for 1 minute. Do not overcook. Remove from heat immediately.